We’ve got what you need to provide for your winged and four-legged friends! 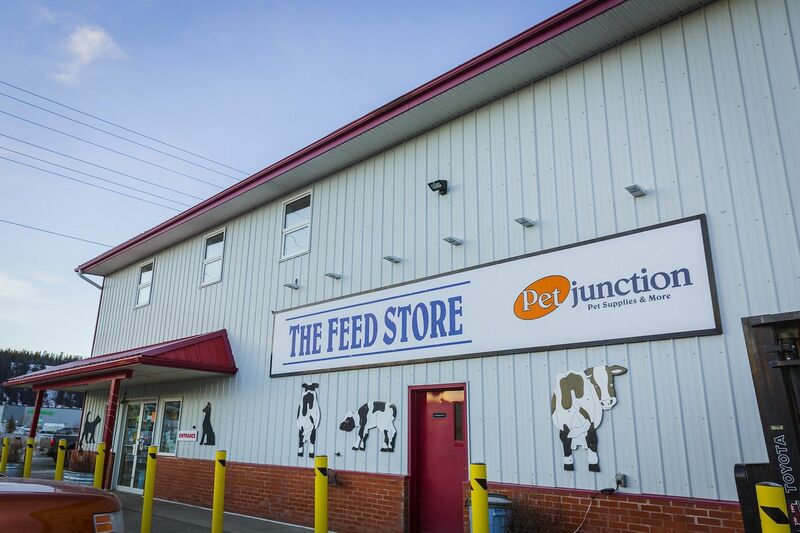 Find everything you need for your pets and livestock at Whitehorse’s The Feed Store/Pet Junction! 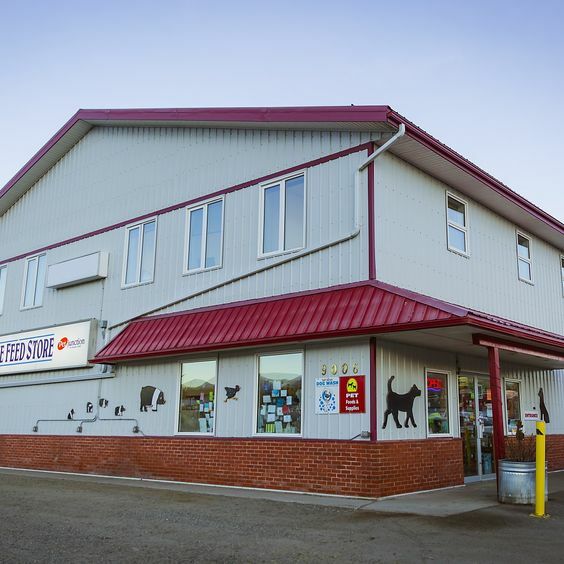 We offer a big selection of food, treats, toys, cages, kennels, and other supplies for both large and small pets, farm animals, and poultry. No need to shop around to get everything you need for your furry, scaly, or feathered friends. Find it all under one roof for that one-stop shopping experience for you and your pets. 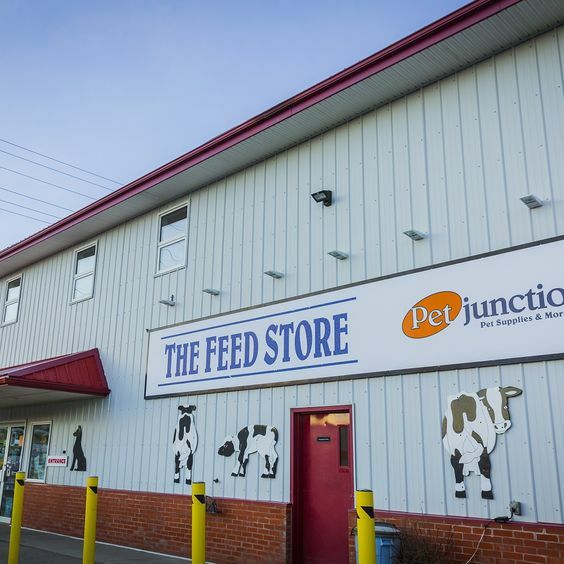 Not every pet store offers supplies and feed for livestock and poultry. But at The Feed Store/Pet Junction, we make sure to cater to all your farm needs. Fences, straw, equine de-wormers, hay, basic horse tack, and more are all available at our location in Whitehorse. We always make sure we’re prepared for Straw and Hay Days! Every spring, we also supply poultry from Miller Hatcheries. Fill out the Miller Hatcheries form to select the poultry products that you need. Bring your pets to our store for a day of grooming. We offer a self-serve station for dog washes at our location in Whitehorse. You will find all you need to get your furry friend clean – towels, shampoos, conditioners, and more. Nail clipping is available Monday through Saturday. Please call ahead! 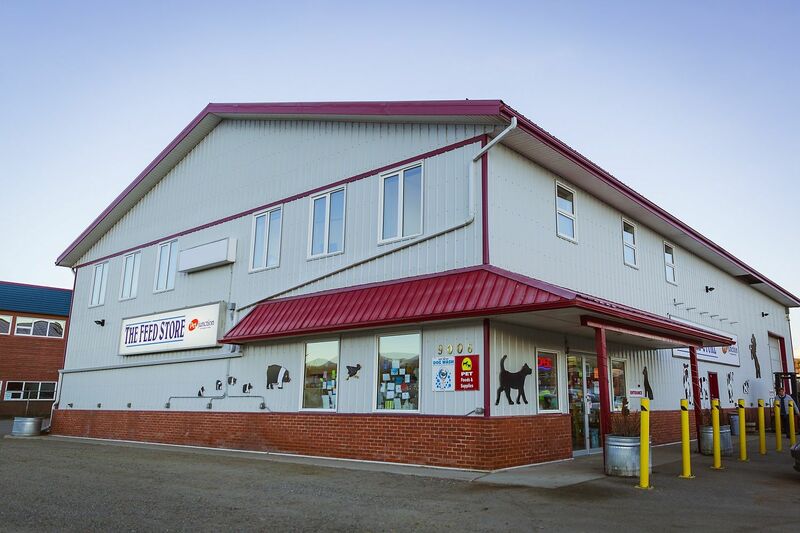 Stop by our store today to see the complete pet and livestock services we have to offer. Bi-weekly sales on various items in store. Stop on by to see what we have to offer. Frequent Buyer Program for the following Foods: Go!, NOW, Canadian Naturals, Natural Balance, Firstmate, Orijen & Acana dog and cat foods! Browse our fantastic brands of treats, food, and other supplies. We offer fencing, feed, and other supplies for your livestock. Every spring, we get ready for the year by offering products from Miller Hatcheries.